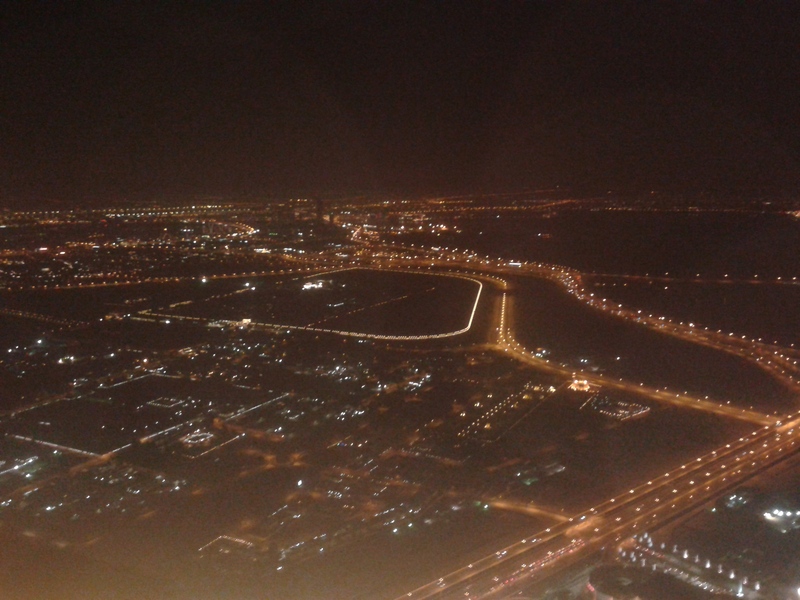 From the top of Burj Khalifa. Not very clear, but the best I could manage. The 90 degree twisted building in Dubai marina. Final part of my Dubai trip. Read the earlier parts here and here. All the skyscrapers in Dubai were basked in breathtaking lights. Mid-journey, there was a break of 45 min at Wafi mall. An Egyptian themed light and sound show had been organized, which I found odd – why an Egyptian show on a UAE tour? The next day, we had 2 big events planned – the dunes of the Arabian desert and the tallest building in the world. Then at 3.30 pm, a SUV picked us up and drove us an hour southeast in the desert. 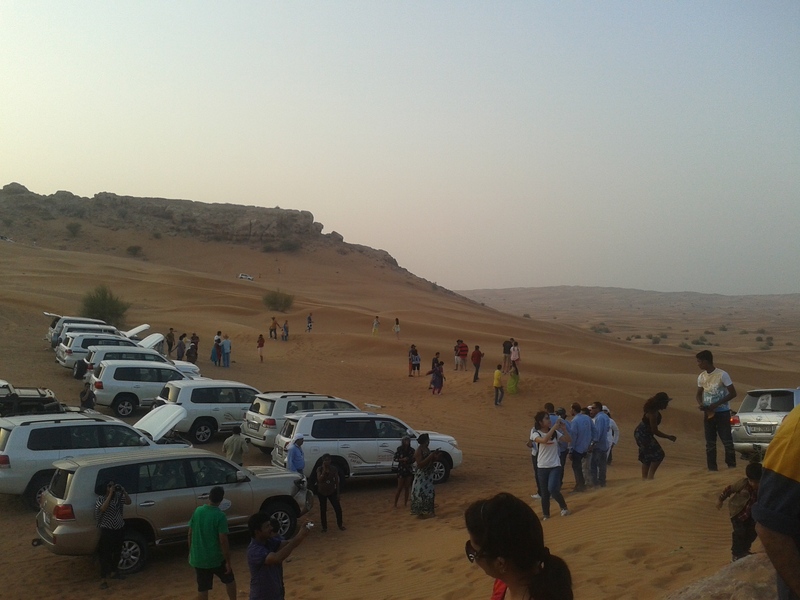 As per the schedule, there was dune driving, followed by dance shows and dinner at the camp. I would say this is the only one event we found poorly organized in this touristy city. The camp was too crowded, food was bad and the people not really friendly. The saving graces were the dune driving and the dances. The SUV will take you over the dunes and the bumpy ride is enjoyable. The desert is very sandy, your foot will actually sink in! Also the dancers at the main camp were very skilled. 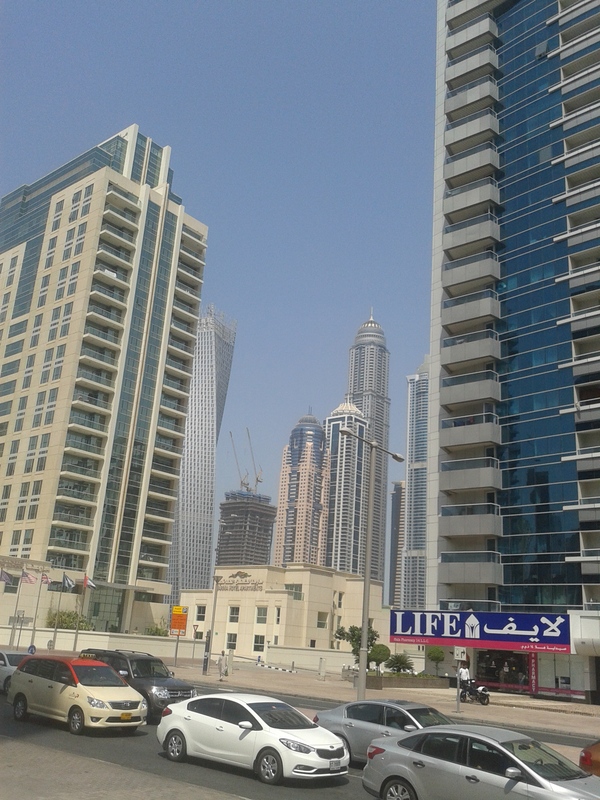 Returning back to the city, we got ready to go the top of Burj Khalifa. We had got a slot of 11.45 pm – there is crazy rush on the weekends, better to book in advance. An interesting thing there was an electronic telescope where you could see the actual magnified views, daytime views and historical views of any location you pointed it on. And then it was Sunday. Last day in Dubai. We did some souvenir, chocolates and dates shopping (everything is imported though, including the dates). For our night flight back to India, we went 3 hours early to do some shopping in the duty-free section – yes, even the airport is a mall here. 🙂 I would highly suggest this section for small purchases, it is cheaper than in the city malls. Chaotic, disorganized, but in some ways, more natural and freer. 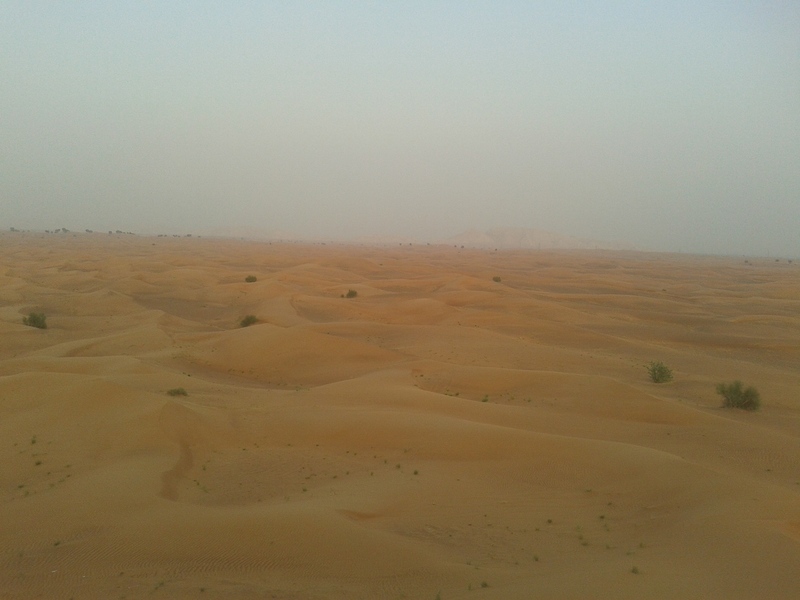 The Arabian desert, extending till the horizon. 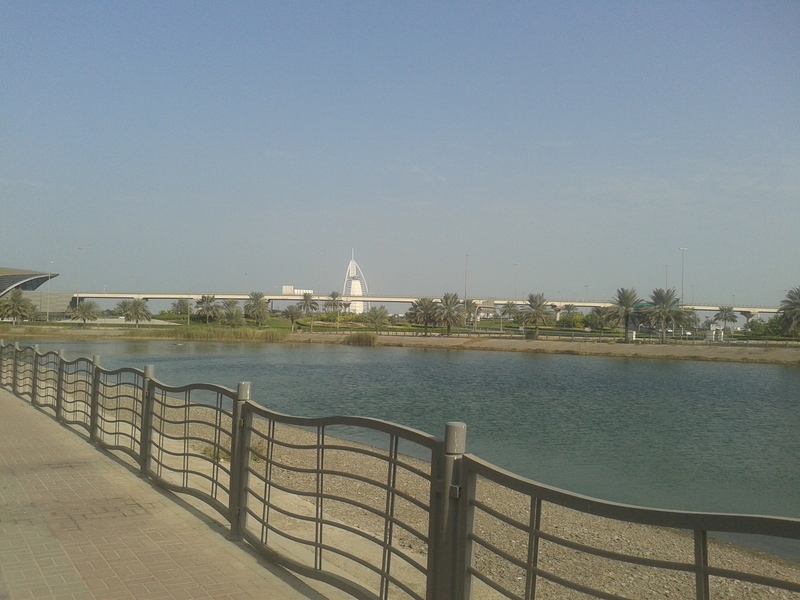 Park near Mall of Emirates. Burj Al Arab seen behind.